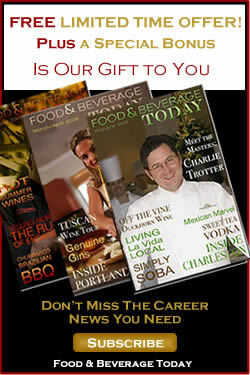 Just let us know your name and e-mail address and we will send your free subscription to Food and Beverage Magazine. You won't want to miss a single issue as the magazine is filled with news, events, and must read articles. There are hot deals and featured products that will save you a bundle. Our monthly digital magazine will keep you informed of all the exciting f&b happenings so subscribe and enjoy! Cheers! PLEASE NOTE: Once you subscribe you will receive a confirmation email. We send this for your protection. Please reply to that email in order to ACTIVATE your FREE subscription. Enjoy!